“Our study shows that these looks and comments – including by members of the public – irritate and alienate pregnant women, making them less likely to seek help. 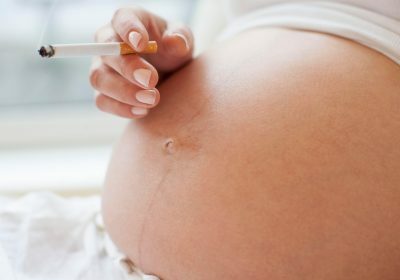 MUMS-to-be are advised to stop smoking and drinking alcohol while they are pregnant. The NHS warns quitting cigarettes is "one of the best things you can do to give your child a healthy start in life". Each fag contains more than 4,000 chemicals, which can harm unborn babies. Cigarettes can restrict oxygen to your baby, and puts extra stress on their heart. Meanwhile, the Chief Medical Officers for the UK agree if you are pregnant, or trying for a baby, the safest approach is to not drink any alcohol at all. Drinking in pregnancy can cause harm to an unborn baby, and the more you drink the greater that risk. To find out more visit the NHS. Many of the mums-to-be thought smoking at home was an acceptable thing to do – despite thinking it was unacceptable in public.